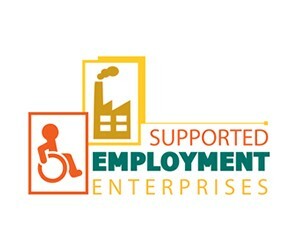 The Supported Employment Enterprises (SEE) is an entity under the Department of Labour (DoL), established more than 76 years ago to provide employment opportunities for persons with disabilities. The entity has 12 factories located in seven of the nine provinces in South Africa, with Limpopo and Mpumalanga the only provinces without a factory. Our factories are located in Durban, Pietermaritzburg, Kimberley, Bloemfontein, Pretoria, Johannesburg, Cape Town, Potchefstroom, Port Elizabeth and East London. The factories currently and collectively employ some 1 100 persons with disabilities, manufacturing products made from Wood & Metal, such as school and office furniture, as well as textiles products (such as hospital linen, and doctors and nurses uniforms). Our products are manufactured using 100% locally-sourced raw materials, sourced from 100% local companies. Its strategy for the 2018/19 financial year is to employ an additional 150 persons with disabilities across all factories.